Click on the link above to see the video of the message. The Apostle Paul often refers to the Christian life as a race and the Bible is full of stories of men and women of God, who began the race well, but failed in the end because they disregarded God’s rules for the race (see 2 Timothy 2:5). As a Christian if you don’t follow the rules, you don’t lose your salvation, but you miss out on the rewards (see 1 Corinthians 3:14-15). In 2 Corinthians 5:10, we read that every believer must appear before the judgment seat of Christ, and we will be called to give an account for how we made use of our spiritual gifts and the calling of God on our lives. Spiritual maturity is not perfection, but it is daily making progress towards holiness and purity in our lives. The plan for our lives this side of heaven is progress not perfection. The Christian life must be one of consistency, holding on to the ground that has already been taken as we grow in the Lord. There are two primary reasons why people do not grow and mature in their walk with the Lord. They assume they are already mature. A person who makes a decision for Christ is not mature, they are spiritual infants. In this life spiritual maturity is a journey and not a destination. They are not willing to pay the price for maturity. Maturity comes at a cost. We must give up things that hold us back. There is pain involved in growth and we naturally shy away from pain. James 1:1-4 explains the common process of spiritual growth. To mature as a Christian, we need role models, mature Christians who have walked the road ahead of us, that we can look to for inspiration and encouragement. 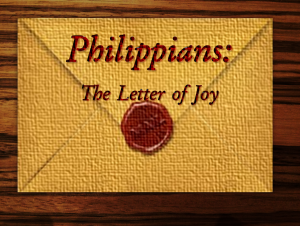 Paul writes in verse 17 that the Philippian Christians should imitate him as an example. As Christians our life is what other people scrutinize. What kind of role-model are you for a younger Christian? If that sounds intimidating, we need to be reminded that this is the design that God has for the church. But then in verse 18 and 19 Paul describes a group of people that we should not follow as role-models. These people were in the church, members of the church in Philippi. This is why he says that he is writing with tears, it grieves him. “Their end is destruction” – These people are playing at being Christians, but they are wasting their lives. “their god is their belly” – They are driven by sensual appetites, this doesn’t mean that they are all gluttons, rather they run after every desire they have without self-control. Living for the moment and they have no concern for their eternal destination. “They glory in their shame” – People give themselves over to their passions and their appetites and then try to find a way to justify their actions, even declaring that what they are doing is right and good. God’s standard never changes, but the world and sadly many churches today have so embraced sin, even celebrating sin, “They glory in their shame”. “with minds set on earthly things “– Much like the modern Western church, we are programmed by materialism and the present world full of entertainment. One of my goals is to have an eternal perspective on everything and one of the goals of my ministry is to convey that passion to others. Can you imagine the impact a church could have on the world if we saw everything we did and every dollar we spent through the lens of eternity? As Christians, we are under the rule and the authority of the kingdom of heaven. The people of Philippi grasped this easily, because even though they lived in Greece, they were under Roman rule. They submitted themselves to the higher authority of Rome. While we are here on the earth, living in the United States of America, we are subject to the laws of the land where we live. But these laws are temporary, this land is temporary, but our citizenship in the kingdom of God is eternal. So, while we adhere to the laws of the land, where those laws conflict with the laws of the eternal kingdom we must submit to the higher authority. Paul has an eager expectation of Jesus coming again, this is what it means to have an eternal perspective. Our residence here is temporary, the things we spend most of our time stressing about are temporary (see 2 Corinthians 4:18). Everything we have is temporary, but what will endure is the lasting effects of a life lived for Jesus, how you spend your time, how you spend your money will determine the eternal rewards that Jesus has in store for you. Are you living with an eternal perspective? Are you living as a true follower of Jesus? Are you a citizen of heaven or are you an enemy of the cross? There is no evidence that the Apostle Paul was a runner, but he likens the Christians life to running a race, and for good reason, the Christian life requires endurance. Paul had accomplished so much for the Kingdom of God, but he was looking ahead, he was not satisfied with his personal spiritual walk. This is the attitude that every Christian should have, saved but not satisfied. Paul continues, “but I press on to make it my own…” The Greek word paints picture of a runner straining with every fiber of his being, aggressively pursuing the goal of becoming more like Christ. (Hebrews 12:1). It is one thing to have a life goal, but a totally different endeavor to pursue a goal with all of your being. Paul was committed to becoming like Christ and he was aggressive in his pursuit. 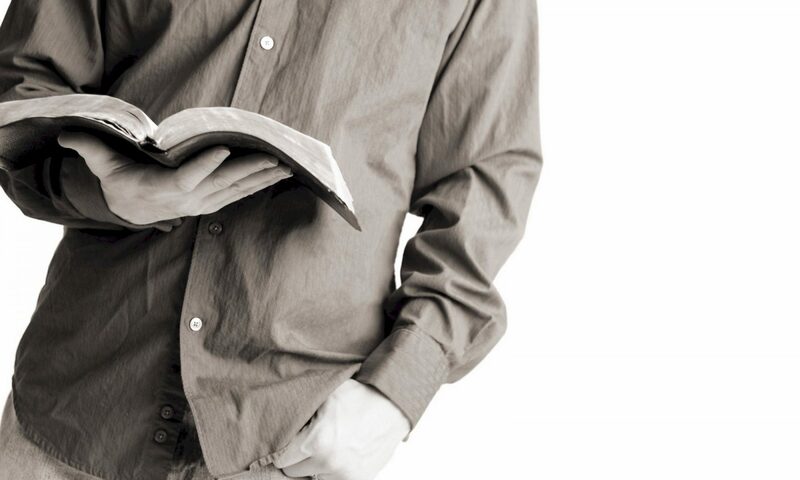 It is rare to find a Christian who reads the Bible and then says, “I am going to do this, I am going to pursue Christ and His will for my life with every fiber of my being for the rest of my life.” The tragic truth is that there are so many people captivated by the entertainment of this world and do not pursue anything of eternal value. The Greek word that Paul uses means to aggressively and rapidly capture. Paul remembers his own conversion on the road to Damascus, where Jesus captured him. This was the starting line of Paul’s Christian race. For every Christian, Jesus must be your starter, at some point in your life you must recognize the moment when Jesus apprehended you. In Philippians 3:13 Paul takes an honest assessment of his life and says that he has a long way to go. His pursuit is simple – forgetting the past and straining towards the goal of holiness. This singular pursuit was the focus and priority of his daily life. For some people their past is defined by guilt and shame because of the things they have done. The shame is crippling, and they feel that they have disqualified themselves from the race. That is a lie from Satan, and we have the promise of Romans 8:1 that puts all shame to rest. If you are struggling with guilt and shame from your past, today you can move forward and experience the freedom that Jesus has for you. Some people experience the is pain and crippling effects of things done or said to them by others. Words and actions that have torn down their identity. These past experiences hold us back and prevent us from running the race that God has for us. Do you really know who you are in Christ? You were saved for a purpose – “to proclaim the excellencies of Him who called you…” 1 Peter 2:9. Joseph the son of Jacob was ridiculed mocked and sold into slavery by his brothers and left for dead. He was mistreated and falsely accused in Egypt, but God redeemed his life and made him one of the most influential leaders in Egypt, saving the nation of Israel from starvation. Joseph had every reason to be defined by his past, but he didn’t. Joseph had 2 children, Manasseh and Ephraim (see Genesis 41:51-52), Manasseh means “making forgetful”, Ephraim means, “fruitfulness.” As Joseph moved on from his past, God made him fruitful. Don’t let your past hold you back, leave it at the foot of the cross and let God give you a life of fruitfulness. To forget our past means that you are no longer influenced by it, its not that we don’t remember the pain, but rather that we are not held back by it. 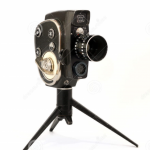 Then there is the other danger in looking back on past achievements and accomplishments. These past accomplishments, these former victories can become idols that we look to that prevent us from pressing in to the more that God has in store for us. We call this resting on our laurels, being satisfied that we have done enough. If the past looks great to you, then you have lost your vision for the future that God has for you. There is a tendency today towards spiritual laziness. I have often heard people saying, “I am just in a season of rest… I am not committing to do anything at this time.” I don’t see any Biblical precedent for this way of thinking. Paul here describes an athlete who is running straight ahead, not looking left or right, straining every muscle and nerve, pursuing the race towards the finish line. This does not discount a sabbath rest, but the sabbath is also not a time to stop your personal spiritual disciplines. The sabbath is there to refresh and recharge for the days of work ahead. In verse 14 Paul writes, “I press on toward the goal for the prize of the upward call of God in Christ Jesus.” He lists three pursuits of his life. The goal, this is becoming like Jesus here and now by living a life of holiness and purity. Making the most of every opportunity to bring glory to JESUS. Then we have the prize – to hear Jesus say, “well done good and faithful servant”. Jesus taught a parable in Matthew 25 of the master who gave bags of gold to three servants before he left on a journey. The first two put the gift to work they made use of the time, and when the master returned, they were told, “well done, good and faithful servant”. But the 3rd servant took the treasure and buried it, he rested on his laurels and missed out on the prize. This prize comes because of our response to the upward call of God in Christ Jesus. All who know Jesus Christ as Lord and savior, have a calling from heaven to make the very best use of the life that God has given us. Discipline, endurance and sacrifice are all essential character traits of a follower of Jesus. The process of sanctification is slow and takes endurance, don’t quit. What is the ultimate goal of Christianity? Getting to heaven? Getting saved? The Apostle Paul writing to the church in Philippi taught that knowing Christ was the most excellent pursuit of his life. Having an intimate relationship with Jesus the creator God. Paul wrote that for the sake of Christ, he had suffered the loss of all things. After becoming a Christian, he had lost his prestige, his paycheck as a Pharisee, his status in the community and power in the community. He viewed all these things as rubbish compared to knowing Christ. To gain Christ was his life’s pursuit. When we become a Christian, we begin the journey of sanctification, the process of becoming more like Christ. We are not instantly holy and perfect, we are still in need of continual spiritual housecleaning. But as God deals with the sin in our lives, He reveals more areas of our lives that are not fully committed to Him. As we pursue Christ, the “little” sins, become more and more obnoxious as we see them for what they really are. Sin is sin, and my sin is what drove Jesus to the cross so that I can become pure and holy. Why would I hold on to anything when Jesus did so much for me? Righteousness is defined as the quality of being morally right or justifiable. However, being morally right will not save you, being morally justifiable does not mean that you are in right standing with God. Paul said in this verse that the righteousness he was pursuing was from the law, his own works and good deeds, but the righteousness that God looks for is faith in Jesus Christ. When you place your faith in Jesus as Lord and Savior of your life, you are in right standing with God and justified before him (see 2 Corinthians 5:21). Many Christians, think that when they have placed their faith in Jesus, there is nothing more to pursue. The thinking is that I just have to live my life trying not to sin and get by until I die, or Jesus comes back. This is infant Christianity, when you are born again, you are a baby, and it is essential to grow and develop into full maturity. We were saved by God to grow and mature as followers of Jesus. By God’s grace, as we pray and read God’s word, He graciously gives us the desire for more of him and we begin to get that appetite and we grow. Paul’s primary desire that shaped his life, was to know Christ. Philippians chapter 3 describes Paul’s satisfaction in knowing Christ, but also his dissatisfaction in that he was a longing to know him better. I pray that we will become dissatisfied Christians, longing to know Christ more. To know something is to acquire knowledge, but there is a huge difference between intellectual knowledge and experiential knowledge. When you go to college or attend a class, you gain intellectual knowledge, that hopefully you can retain and use at some point. But experiential knowledge comes from experiencing something personally. We can know Christ by experiencing his presence through the Holy Spirit, by reading His word, by spending time with Him in prayer. We come to know Christ when we step out in faith and see how He provides. Knowing Christ takes discipline, it takes hard work, but it should be our deepest longing as believers. The power that raised Jesus from the dead lives in every believer, this is something that we aren’t capable of fully grasping (see Galatians 2:20). Paul prayed for the church in Ephesus to gain this understanding (see Ephesians 1:18-20). We need a revelation from God to begin to grasp the power of God that is for us, in us, and operates through us as believers. The resurrection power of God is the only power that can defeat the power and hold of sin in your life. If you are struggling with persistent and ongoing sin in your life, you need to grasp and hold on to the power of the resurrection. This does not mean that we have to go back to the cross and physically suffer the way Jesus did, but rather, as we display the power of the resurrected Lord in our lives, as we so identify with Christ, that when we face abuse and persecution for being a follower of Jesus we react the way Jesus did and in so doing we are drawn closer to him (see 1 peter 4:12-13). As believers in Jesus, we like to hear about the resurrection power, but there can be no resurrection without crucifixion. Dying to ourselves, our desires and our will, is the requirement of becoming like Christ and knowing his power at work in our lives. Dying to self is not a one-time event, it is the daily process of choosing death to sin’s hold on our lives, as we are being conformed to the image of Christ. Does your life display the resurrection power of Jesus to those around you? Do you know Jesus experientially? It’s tax season, time when we look back and gather receipts and documents, to give an accurate report of our finances to the IRS. Accounting can be complicated to understand, but the simplest form in accounting is the trial balance with your income on one side and your expenses on the other, when you total them up, and subtract the two, you can determine if you made money or lost money, whether you were doing well or you were heading for bankruptcy. Sadly, this is the approach many people take to their eternal destination. The thinking goes that if I do enough good things in life, then they will outweigh the bad things I do and then at the end of the day, God will look at the trial balance of my life and determine if I get into heaven. This is completely false and the very definition of religion. Religion is placing value in rituals and beliefs in order to obtain favor from God. We will all stand before the judgment seat of Christ, and what will determine our salvation is not our religion, but our righteousness, whether or not we have a right standing before God. Righteousness is only found by placing our faith in Jesus Christ as Lord. Living a moral life will not get you into heaven. This is the ultimate deception of Satan, letting people think that they can be good enough for God’s approval. Johnny Hunt writes, “Prior to his salvation, the Apostle Paul, had enough morality to keep him out of trouble, but not enough righteousness to get him into Heaven.” Paul had to lose his religion to find Jesus. This is what Paul is writing about in the first verses of Philippians 3. 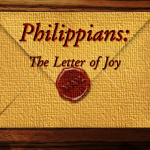 The theme of the Letter to the Philippians is Joy. but it seems in these verses Paul makes a dramatic turn and rebukes a group of people who were known as the Judaizers. The Judaizers where Christians who taught that in order to become a TRUE Christian, you have to go back to the law of Moses and conform to the ancient Levitical law with all the rituals and sacrifices. These Judaizers were beginning to gain inroads and create confusion in the church, pulling people away from the truth and the freedom that is found in Christ. In verse 2 he calls them dirty scavengers, dogs and evildoers. The Judaizers prided themselves in their holiness and their morality, but Paul says that they were actually evildoers, deceiving the young church. Paul wrote that the outwards acts of duty were of no value, the only reality that counts is the condition of one’s heart, being set apart for Christ. Salvation only comes by believing on the name of Jesus and his completed work on the cross where his sacrifice made us right with God. We are only righteous in God’s sight because we are clothed in the righteousness of Christ. In verse 3 we read that the true worshippers, worship God from the heart by the Spirit of God. Worship is never and can never be disconnected from the inner man. We cannot worship God simply by mouthing words, it has to connect with our inner man by the Holy Spirit. We can have no confidence in the flesh. You may be a small group leader, a deacon, a Sunday school teacher, attend every prayer meeting and church service, you may be faithful in giving ten percent to the work of the ministry, but if your heart is far from the Lord, it is all vanity. Today we have so many people who are trying to work for their salvation. In Philippians 2:12, Paul told the church to “work out their salvation with fear and trembling”. This is the working out of that which God has already worked in by His spirit and the cleansing power of the blood of Jesus. We cannot work for our salvation – but we must work out our salvation. All his supposed credits, were of no value at all, he saw that in comparison to faith in Christ, in comparison to the work that Christ did for him already on the cross, all his work and accomplishments were meaningless. Sometimes our religious activities can become idols. Our position, our ministry our titles can become more important to us than knowing and following the will of God for our lives. I am not advocating laziness, stopping all service for the Lord and simply sitting back and just being in God’s presence, no rather I am advocating being led by the spirit. I am certain that after Paul’s conversion he worked harder and suffered more, but he was far more joyful and fulfilled in his life. Being led by the spirit, you will spend your life maximizing your time, you will find that God stretches you and grows you, but you will not be working to earn favor from God, rather you will be working because the Spirit of God is leading you. What religious activity do you need to drop today? And what is God calling you to do by His Spirit? What are you doing to try to make right the balance sheet of your life? Are you trying to make amends for your past? Are you trying desperately to make right some sins by helping the poor, feeding the homeless, caring for the elderly. These are all good things, but if done with the wrong motivation, then we are not being led by the Lord and missing out on the tremendous joy and blessing that comes by being led by God. Stop looking at your life as a trial balance and trust in Jesus allowing his righteousness to cover you and allow the Holy Spirit to lead you.